This 560 sq.ft. 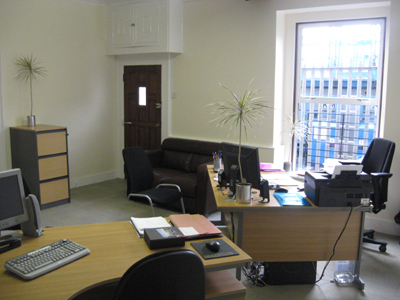 2-room ground-floor office suite is available with just one month's rent as a deposit. There is direct ouside access to the unit, and the unit also has shared toilet and kitchen facilities available.